Home / Self improvement / Which nutrients provide energy? Our bodies need specific substances in order to metabolize energy from the food we eat and carry out the processes that need to occur for the body to function correctly. It should be noted that if they eat a healthy balanced diet, including all food groups and do not have any underlying medical conditions, most people will obtain all the nutrients necessary for this to occur and supplementation will make no difference to energy levels. A lack of energy and feelings of lethargy can occur when your diet is lacking in certain nutrients, or you have increased demands for these nutrients that you are not meeting. If this is the case, then supplementation or increasing your intake of foods containing these nutrients may increase energy levels. Most of the vitamins needed for energy metabolism are not synthesised or stored in the body, so it is necessary to consume foods that contain them on a regular basis. B vitamins are particularly important for energy metabolism in the body and are essential to convert the energy we get from the food we eat into energy that can be used in the body. Vitamin B6, B12, folic acid, thiamin and niacin are all important for these processes and a deficiency can leave you with a lack of energy. Those at high risk of B vitamin deficiency include athletes who do a lot of training, those following certain diets that eliminate food groups and people on some medications such as beta blockers and antibiotics. Another nutrient important for energy is magnesium, which is important in the process of breaking down glucose into energy for use in the body. A lack of magnesium can result in an elevated heart rate and more exertion required to do normal tasks. Antioxidants such as coenzyme Q10, vitamin E and C are also important in energy production in the body, and a lack of these may result in a dip in energy levels, however, once again there is no benefit of supplementation if you are not deficient. A lack of iron, particularly common in women, may also contribute to feelings of fatigue and lack of energy. Thiamin is found in a wide variety of vegetables, as well as fresh and dried fruit. Eggs, wholegrain bread and fortified cereals are also good sources, as is liver. Due to the large variety of foods containing thiamin, those following a varied healthy diet should have no problems meeting the requirements of 1mg per day for men and 0.8mg for women. This vitamin is found in meat, fish, wheat and corn flour, eggs and milk. Women need about 13mg per day, whilst men require around 17mg. Good sources of this vitamin are pork, poultry, fish, bread, wholegrain cereals, eggs, vegetables, soy beans, peanuts, milk, potatoes and some fortified breakfast cereals. Men need around 1.4mg per day, whilst women require slightly less at 1.2mg. Known as folate in its natural form, folic acid is found in small quantities in broccoli, Brussels sprouts, liver, fortified breakfast cereals, brown rice, chickpeas, green peas, asparagus and spinach. Adults require about 0.2mg of folate per day; however this increases greatly during pregnancy, when 0.4 to 5mg of folate may be required to reduce risk of spina bifida. A healthy diet should provide normal requirements, however, during pregnancy supplementation is recommended in the first 12 weeks. B12 is found in meat, fish and other animal products such as dairy and eggs. The requirements of 0.0015mg should easily be met for most people if they eat these foods, however, vegetarians and in particular vegans may require supplementation. 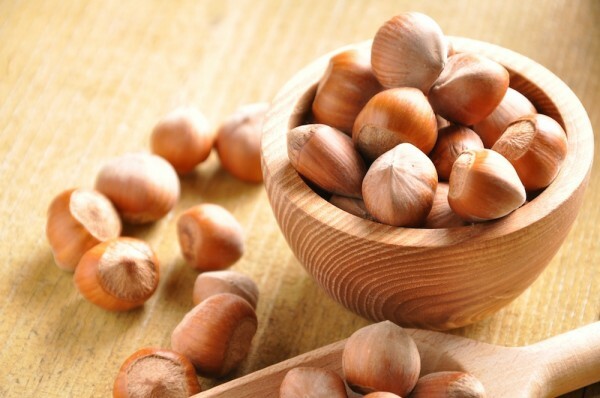 Good sources of magnesium include almonds, hazelnuts and cashews, fish, particularly halibut and whole grains. The best sources of coenzyme Q10 are meat and fish, but vegetable oils also have relatively high levels. Nuts, seeds and vegetable oils are the best sources of vitamin E and fruits and vegetables are the best place to obtain vitamin C.
Good sources of iron include meat and poultry. Some iron is available in green leafy vegetables and fortified cereal products; however, this is less readily available than that found in animal products. Consuming plant based iron at the same time as vitamin C can enhance uptake for use in the body. Although micronutrients such as minerals and vitamins play a large part in energy metabolism in the body and therefore are essential for good energy levels, it is important to remember that the body requires fuel from macronutrients in order to obtain its energy. The four macronutrients are fat, carbohydrate, protein and alcohol, all of which can be metabolised for energy. With the exception of alcohol, a low intake of any of these macronutrients can have an effect on energy levels.